This year marks the 100th anniversary of the birth of Northrop Frye and many special events have been organized to mark this centenary and honour a graduate of Emmanuel College who is widely acknowledged to have been one of Canada’s brightest intellectual lights. In honour of this occasion, Dr. Nella Cotrupi will deliver a series of four talks with discussion on a concept that is central to Frye’s life work, the “Secular Scripture.” What did Professor Frye comprehend by this expression, and why did he privilege it so prominently in his literary criticism? In order to answer these questions, we will delve into the very core of his spiritual beliefs and ethical commitments. Nella Cotrupi has taught and published widely on Northrop Frye. 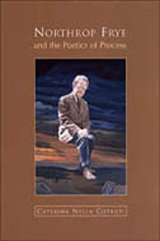 Her book-length study, Northrop Frye and the Poetics of Process, was published by University of Toronto Press. For registration details go here. This entry was posted in Uncategorized on September 14, 2012 by Joseph Adamson.